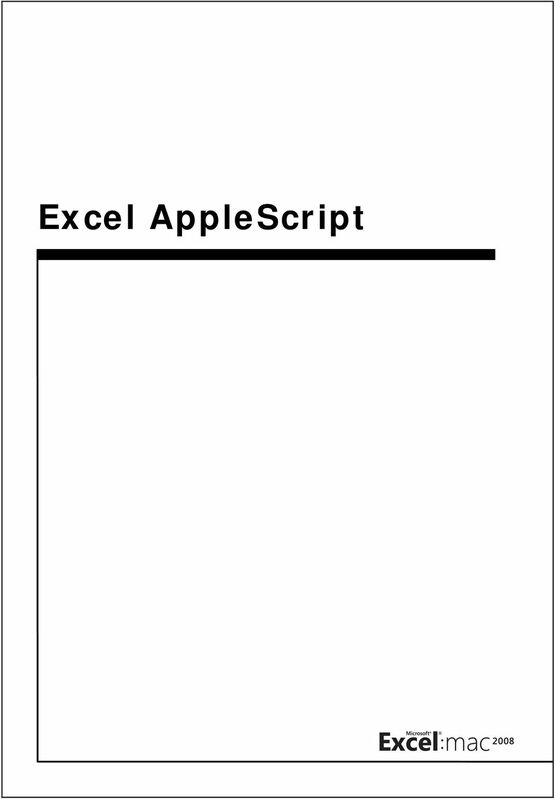 To learn more about using AppleScript in Word, visit Microsoft�s Office Developers page, where you can download the 526-page PDF �Microsoft Word 2004 AppleScript Reference� (most of which... Anchored objects are missing when you print an InDesign CS5 document or export it to PDF. The object is not on the The object is not on the same page as its anchor, and you printed just the page range that contains the object. on open theFiles set oldTID to AppleScript's text item delimiters repeat with thisFile in theFiles -- get file path as posix path set inputFilePath to POSIX path of thisFile -- create output path - same name with .pdf extension set AppleScript's text item delimiters to "." If you still have access to the MAC just open them on the MAC and go to print them then click the save as pdf button. If you don't see this then select it from the dropdown list. If you don't see this then select it from the dropdown list. Mac automator keynote to pdf Mac automator keynote to pdf Mac automator keynote to pdf DOWNLOAD! DIRECT DOWNLOAD! Mac automator keynote to pdf Heres a script for exporting the Keynote presentation to a movie file. Paul Berkowitz is an expert both in AppleScript and on Microsoft Office for Macintosh. He wrote the chapter on AppleScript in Office 2004 for Macintosh: The Missing Manual and was Technical Editor for several books on AppleScript including AppleScript: The Definitive Guide, 1 st Edition by Matt Neuburg, AppleScript: The Missing Manual , and others. The real.pdf is a small PDF that will be downloaded by the target every time the AppleScript (the fake PDF) is opened. The cover.icns is the Apple icon file which will be used in a later step. That's it for the Kali Linux end of things.